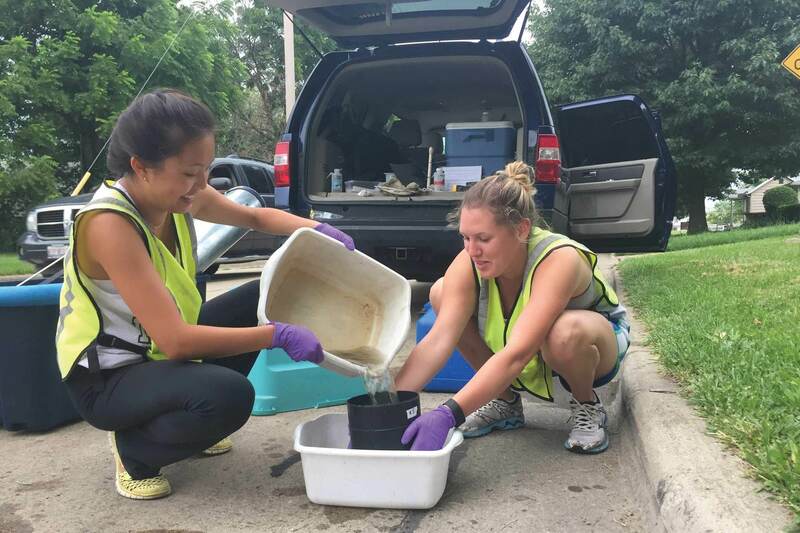 Integrative biology majors Hei Chan, left, and Madison Moore sampled water from catch basins in Champaign-Urbana for a study of mosquito reproduction. One student spent the summer tracking prairie chickens near Salem, Illinois, returning to the lab to help analyze their DNA. Another co-wrote a study of the marsupial intervertebral disc, research he and his colleagues hope will offer new insights into human health. Another is designing his own experiments on the evolution of fish behavior. Two others are working on research related to mosquitoes and mosquito-borne illnesses. These are among the first undergraduate students to receive Access and Achievement Program (AAP) summer research fellowships in animal biology. These fellowships go to highly motivated undergraduate biology students who otherwise would not have the opportunity to get hands-on research experience. Each fellowship amounts to about $7,000 and supports the students while they engage in full-time field and laboratory work over the summer. Award Program or the Educational Opportunities Program. These programs serve students who belong to racial or ethnic groups that are underrepresented at the U. of I., as well as students from rural communities or low socioeconomic status families. Many AAP students are interested in science, math, technology and engineering – fields in which these groups are also underrepresented. 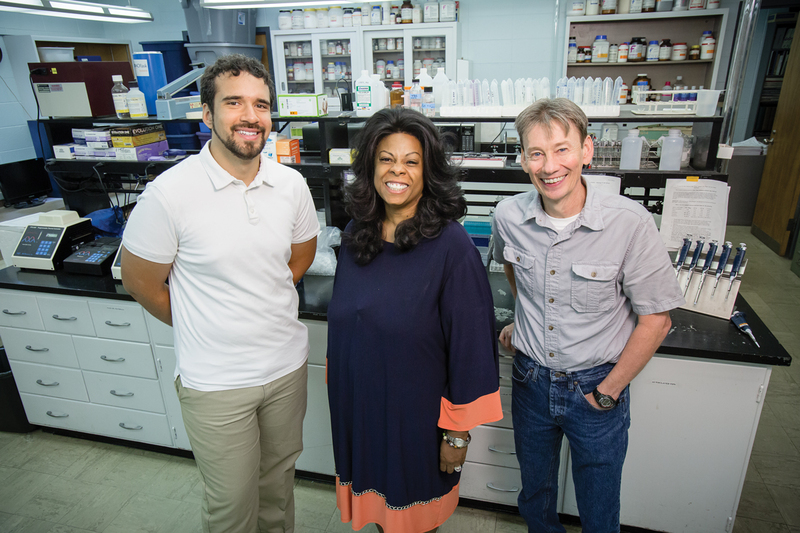 The animal biology research fellowships are now in their third year, thanks to the pioneering efforts of graduate student Christopher Holmes, who first envisioned them; animal biology professor Ken Paige, who helped promote them; and Assistant Dean Kimberly Alexander-Brown, who directs the AAP and found funding for the program (see “Three People and a Vision” on facing page). By every account, the results have been inspiring. The students who earn these fellowships have a passion and commitment that sometimes surprises their mentors. The students must submit an application and are interviewed by a team. “They’re like sponges,” Alexander-Brown said. One of the current fellowship recipients, Manuel Perez, a 20-year-old junior in the School of Integrative Biology, received a research award for his outstanding work, Holmes said. Perez, who grew up in Cicero, Illinois, works with graduate student Allison Parker in the laboratory of entomology professor Brian Allan. They are identifying the mosquitoes in clogged storm drains and other man-made containers in residential areas of Champaign-Urbana. The summer research opportunity broadened his horizons, Perez said. “I began my journey through college with the idea of going into the medical field, but I have become open to the idea of pursuing a career in research,” he said. “Manny’s commitment to our projects is outstanding. I couldn’t have asked for a better research student to work with,” Parker said. Another student, 19-year-old Oak Park, Illinois, native Tessa Muriello, is beginning her sophomore year. This summer, she worked with a team of graduate students in Marion County tracking prairie chickens translocated to Illinois from west of the Mississippi River. Paige is her faculty advisor. 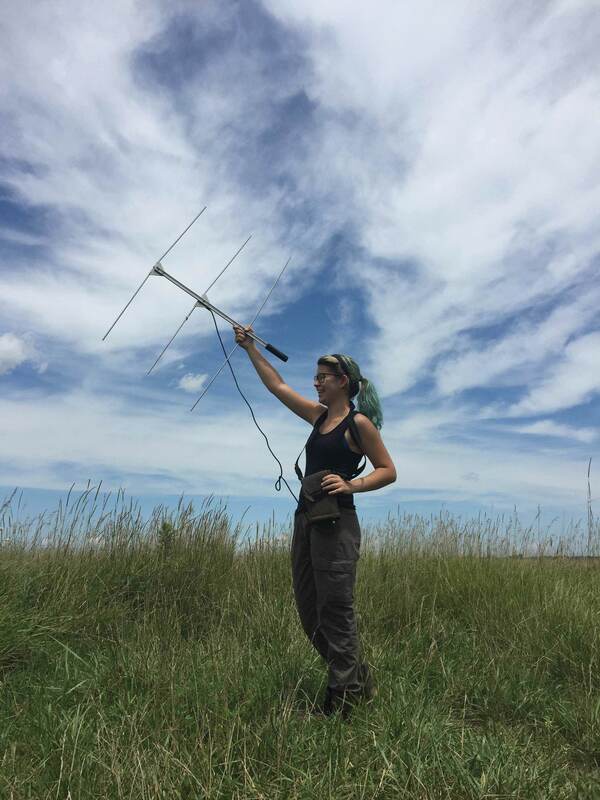 Sophomore Tessa Muriello’s work included tracking prairie chickens using radio telemetry. The team used radio telemetry to follow the birds, all of which had been radio-collared before they were let loose in Illinois. Most of the tracking was done on land, but Muriello also got to fly in a small plane to help track the birds from the air. Another student, 21-year-old senior Hei Chan, an integrative biology major, also works in Allan’s lab studying mosquitoes. She grew up in Hong Kong and now lives in Chicago. She samples leaf litter and water from catch basins in Champaign-Urbana, looking at the link between the amount or type of leaf litter and mosquito reproduction. “I plan on pursuing a graduate degree after graduation, so this work has definitely helped me learn about the types of research that go on in the field of biology,” she said. So far, nine students have received animal biology research fellowships over the first three years of the program. Alexander-Brown and Paige want to expand the initiative to other fields, including the social sciences and humanities, and are looking for creative ways to find funding. They and their colleagues hope to see the program become a national model for building bridges for motivated students who have seen few such opportunities in their lives but know how to make the most of them when they appear.